This large Finnish-Swedish-Finnish dictionary contains over 300 000 search words. Using the dictionary does not require Internet connection. 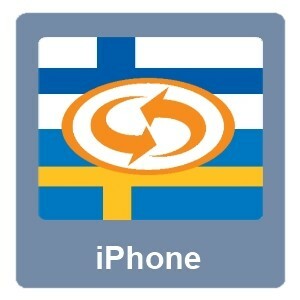 This dictionary works with iPhone 4S and also with newer devices. This large Finnish-Swedish-Finnish dictionary contains over 300 000 search words.